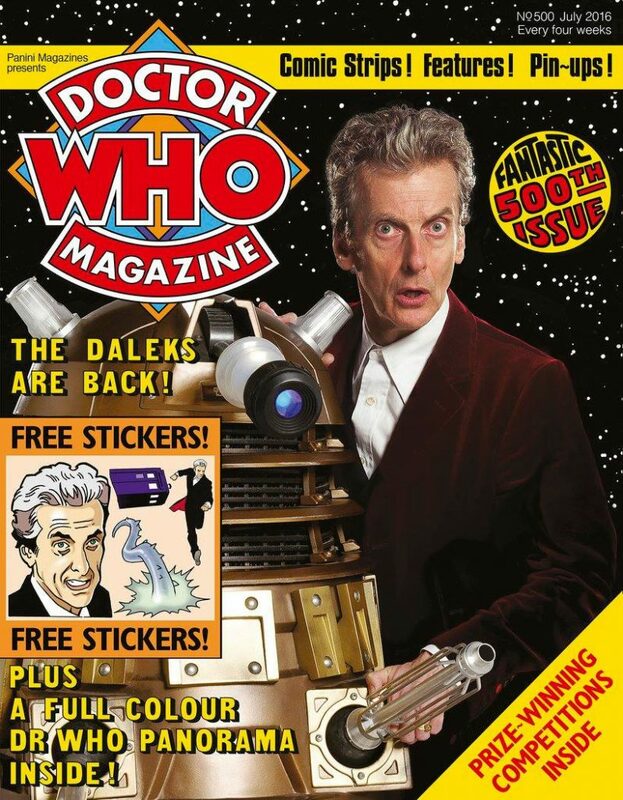 An anniversary edition of Doctor Who Magazine! The issue 500! The price is £9.99 – which is for TWO 116-page magazines, plus a giant double-sided poster, stickers and art card. They have received some special messages from some of the Doctor’s pals – including Louise Jameson aka the Fourth Doctor’s companion Leela! And Tegan, alias Janet Fielding!